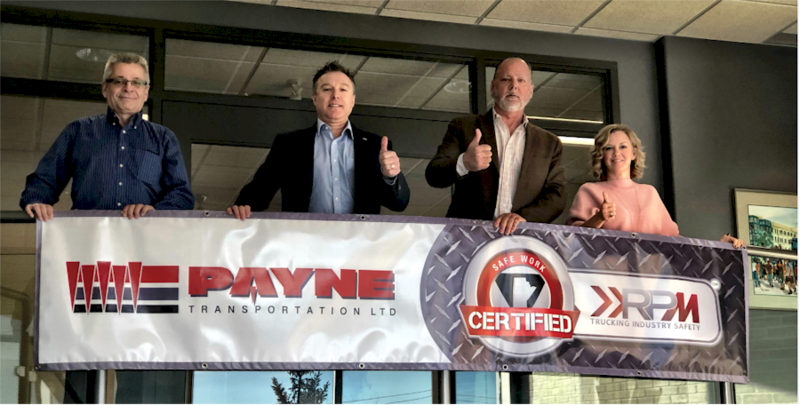 Payne Transportation Ltd. receives RPM Certification - Payne Transportation Ltd.
We are pleased to announce that Payne Transportation Ltd. has received our CERTIFICATE OF RECOGNITION from RPM Trucking Industry Safety. In order to receive this certification, we underwent a SAFE Work Certified audit, which is an independent review of a company’s health and safety program. Below are a few quotes from the auditors regarding our safety and health management system. The health and safety culture of a company is the direct result of strong leadership as well as the cooperation of all employees. 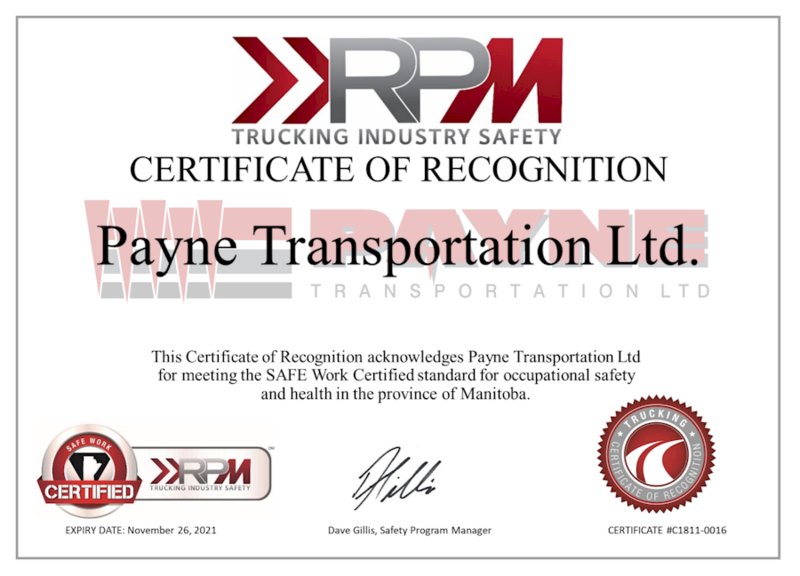 We would like to thank RPM Trucking Industry Safety, all of us here at Payne Transportation Ltd. are very proud of this outstanding achievement.